I love things that smell good, especially during winter when I’m spending a lot of time indoors. 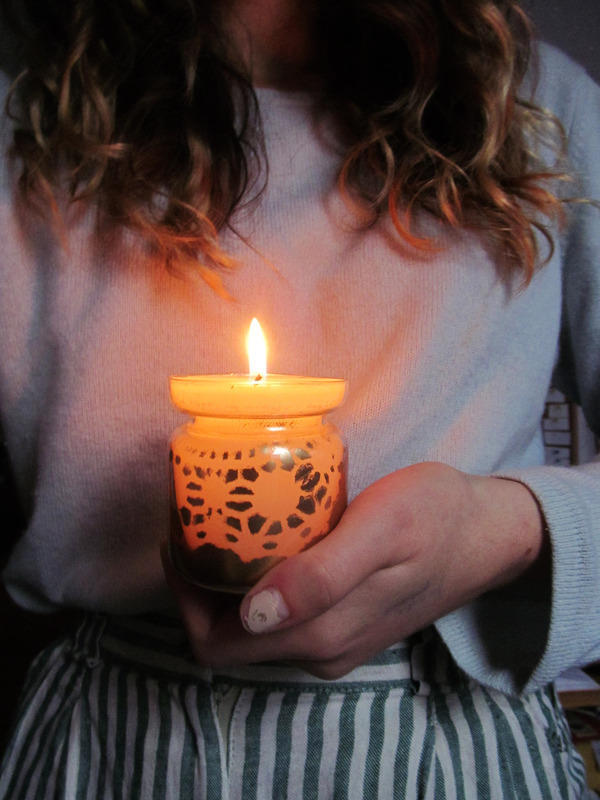 I burn a lot of joss sticks but I also love scented candles, and this is my third tutorial featuring essential oils! (DIY one, DIY two.) I find Yankee Candles super expensive though, especially when it’s so easy to make your own! 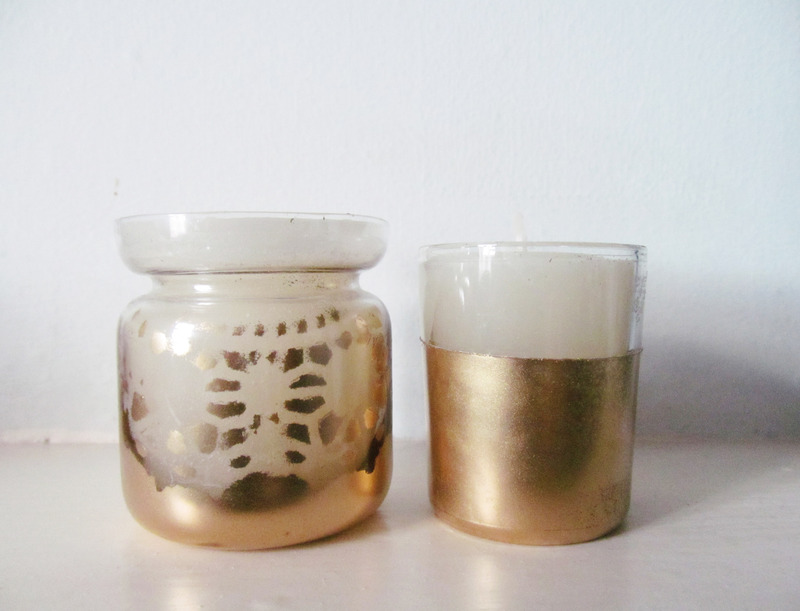 I think it would be hard to replicate the smell of a Yankee Candle using this DIY, but these candles are still really cute. You will need: Glass containers for your candles (you can find so much cute cheap glassware in charity shops, that’s where mine come from!) 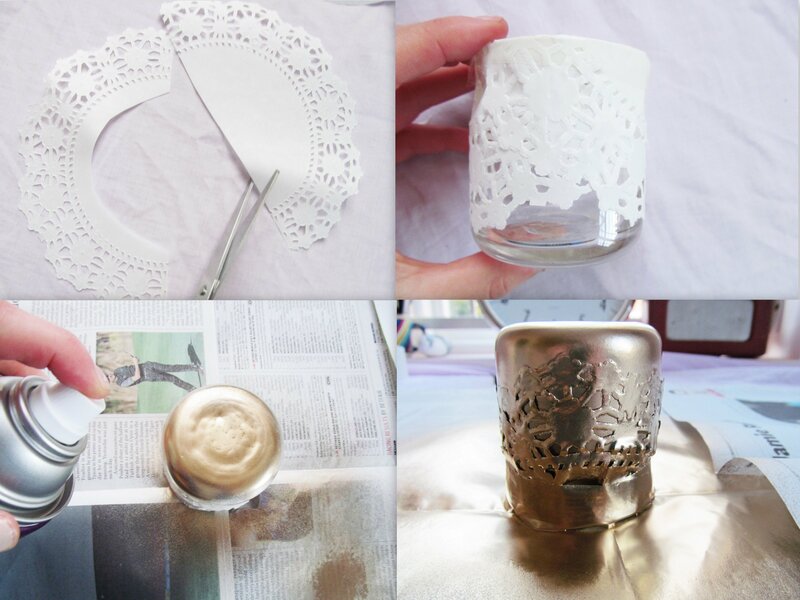 candle wicks, candle wax (I recommend using either an unwanted candle that’s broken or dirty or soy wax, which is eco-friendly), spray paint, tape, kebab skewers, essential oil, and a doily. 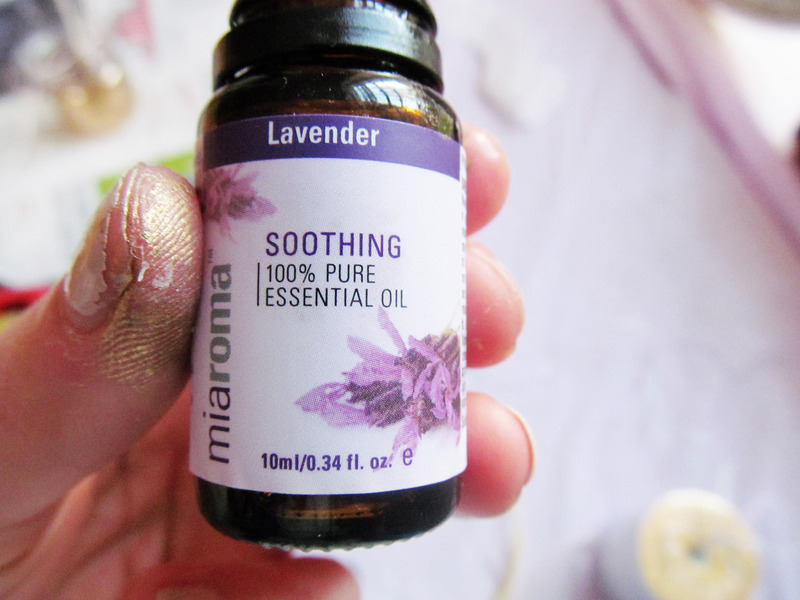 Obviously you can use any essential oil, but I am totally addicted to lavender! I think it’s the most relaxing scent. If you are recycling a candle like me, scrape any of the damaged parts from the wax with a knife • Melt the candle in a double burner (this is a pan on top of a pan full of water – you don’t want your wax to cook!) and remove the wick. You can recycle the wick too if you like! If you’re using soy wax just melt this in the pan • Tape two kebab sticks to the top of the glass, and wedge the wick in between them. 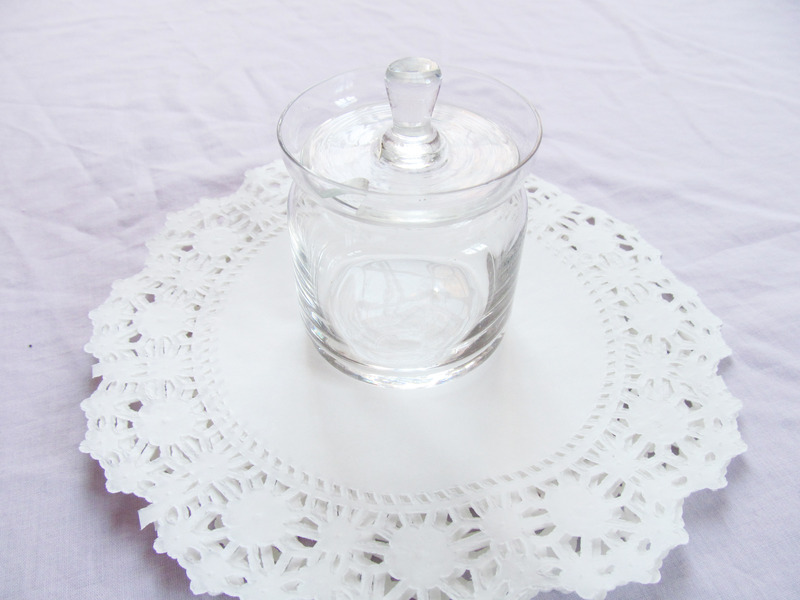 This will hold the wick in place • Add a couple of drops of essential oil to your wax and pour it into your container. Wax sinks as it cools, so you will need to add more wax after a couple of hours. I did a second candle, but instead of using doilies I just taped the top of my glass before spray painting it. This is so simple but I think it’s really effective. 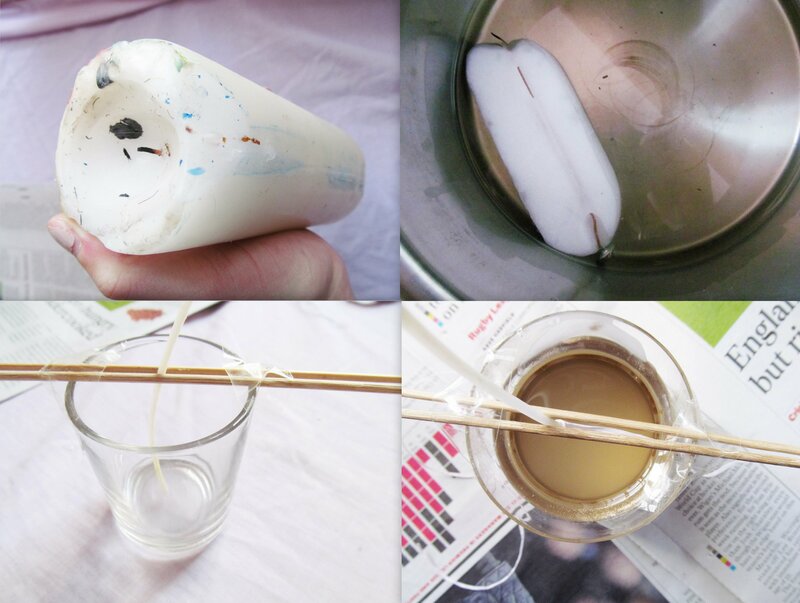 Have you ever made candles before? Happy Wednesday friends! I’ve never made any candles, I like the addition of the oil. 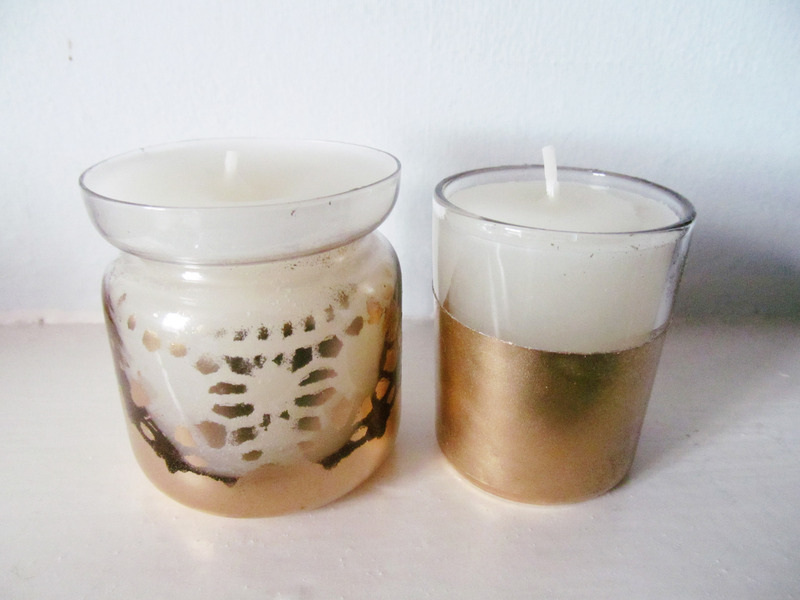 Maybe the lavender gives the candle a bit of a summery vibe to it These would make great christmas gifts, thanks for sharing! Awesome idea. Got to try it one of these days! 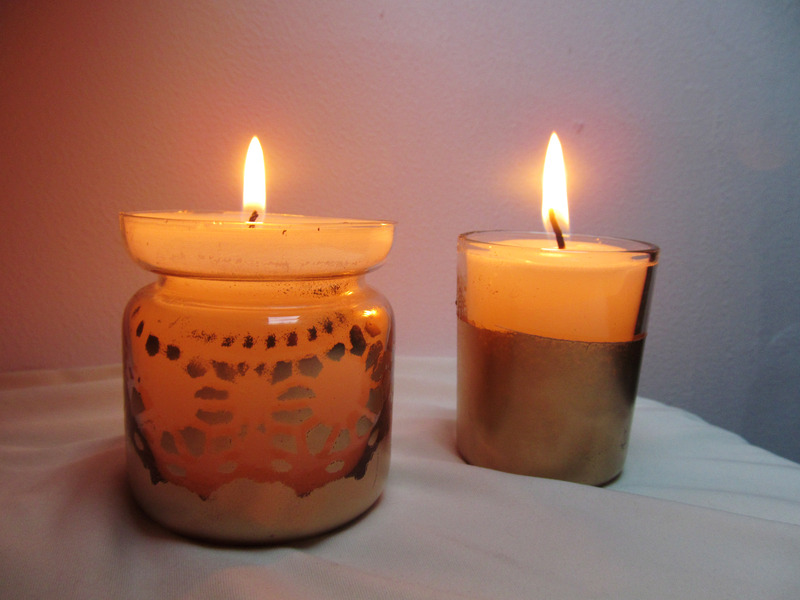 Lovely candles! Yes, have made candles before. In the dark ages, as a child. We used paraffin, and string for wicks – not ideal by today’s standards! We used an old egg beater to whip the melted paraffin and lay it onto the candle itself. It looked like snow when dried. 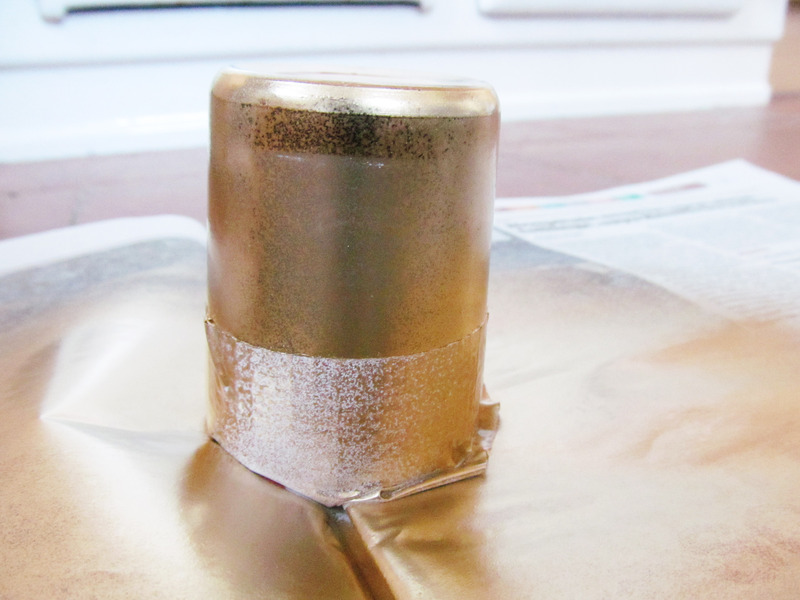 Sometimes we also sprinkled on glitter or other decorations. These weren’t really for burning!